What changes do you want to see in Downtown Burlington? 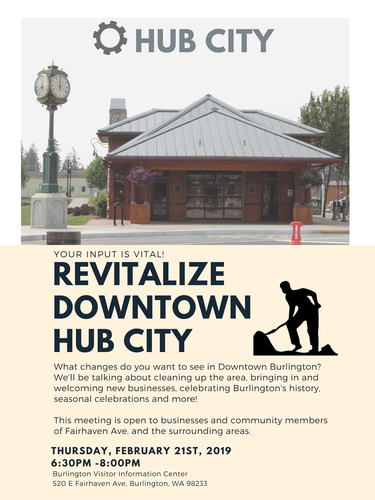 We'll be talking about cleaning up the area, bringing in and welcoming new businesses, celebrating Burlington's history, seasonal celebrations and more! This meeting is open to businesses and community members of Fairhaven Ave. and the surrounding areas.